Verizon FiOS and Netflix are playing nice together! I upgraded my HTPC from Windows 7 to Windows 8.1 to try and get access to the Netflix app that is part of Windows 8 to get some 1080p streaming and 5.1 surround sound. I also decided to try out Storage Spaces for some parity/redundancy of my media collection but that’s for a different post. 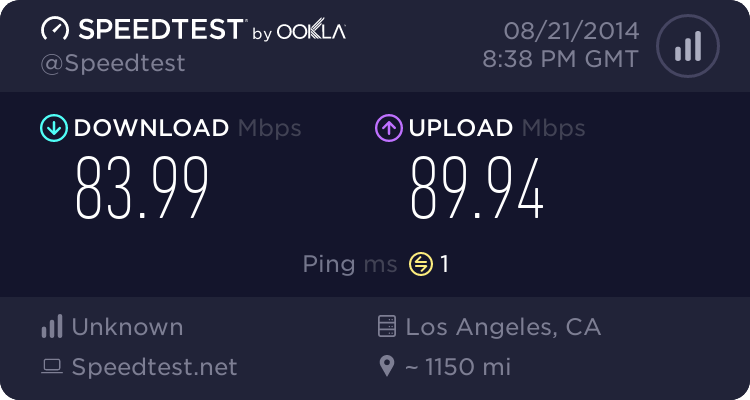 The good news for this post is that Netflix and Windows 8 are now playing nicely together, within 30 seconds HD streams are coming through to my home without a VPN required. Works across my PS3, Windows 8 App, and Firefox on a Windows 7 box. Hopefully they’ll continue to play nice together. It looks like the deal Netflix made with Verizon has been implemented, but hopefully the FCC will enforce some rules so that peering agreements for last-mile ISPs don’t get bogged down so ISPs like Verizon can extract money from web companies to deliver content (i.e. internet fast lanes).